Athena Asklipiadis is a woman changing the world. She has created an amazing organization called Mixed Marrow which helps multiracial people dealing with blood cancers and diseases. She spoke with Hapa Mag’s Matt Blank about how Mixed Marrow began, her involvement, and how you, our readers, can get involved and help save a life! Tell me a little about the history of Mixed Marrow. The idea clearly arose out of a long-standing need, but how did it really get off the ground? In 2007, I lost my aunt to Lymphoma and always wanted to get involved in a cancer-related cause or advocacy. I ran into a marrow drive happening in L.A. at a Japanese festival held by A3M, an Asian and minority recruitment organization. 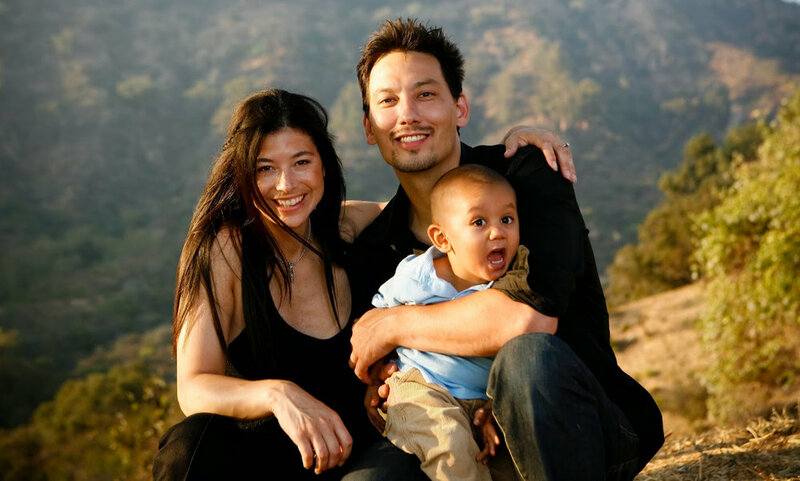 [They] were trying to find a match for patient Krissy Kobata who was half-Japanese (like me) and in need of a donor. At that time I learned how heritage played a role in matching and that mixed-race patients had difficulty finding matches since there were less of us in the registry. My initial goal was to spread the word and let the community know. I started posting info about Krissy's story, started a Facebook page and website for Mixed Marrow and worked with A3M and the national organization, Be The Match to create a volunteer recruitment group dedicated to mixed patients. I had Hapa friends along the way who helped support the cause and grew a team of amazing volunteers, all of whom I met online. Together, we hosted drives from L.A. to NY at events like Hapa Japan, Loving Day NY, etc. Mixed Marrow is now partners with MASC (Multiracial Americans of Southern California) who supports us as our fiscal sponsor. All in all, our success came as the word was spread through the help of the community, folks like Ken Tanabe from Loving Day and Kip Fulbeck (Part Asian. 100% Hapa) who embraced our mission and invited us to their events. I've heard that mixed-race people, while the largest growing population, are the least represented as donors. Do we have any idea why? We are the largest “growing” when it comes to births, but donors need to be at least 18. Those numbers are not as high. All minorities are underrepresented. Cultural, religious, and language barriers are part of the issue, education, access, and socio-economic status also play a role. What are some of the main approaches Mixed Marrow takes toward spreading awareness? The latest and most successful effort was the film Mixed Match. I teamed up with Hapa Canadian filmmaker Jeff Chiba Stearns to create a documentary film to share the stories of patients. To me, coming from a broadcast background, I knew a flyer with a patient's face was not going to cut it. We needed the public to really get to know stories on a deeper level. Besides the film, Mixed Marrow has had various social media campaigns and participated in a lot of press stories to get the word out. You've been running for nearly a decade now and have clearly made an impact and surely seen a fair share of touching and inspiring stories. Any that stand out in particular? What has definitely been the most rewarding and amazing thing that has come out of my work with Mixed Marrow has to be the friendships I have made with patients, families, and volunteers. You meet many folks at a very vulnerable time in their lives so you cannot help but become close. The relationships I have made with other folks who have supported our efforts and the volunteers have meant so much, you realize how many truly good and generous people there are in this world when you do this type of work. There are many good hearts out there. On the same note, not every case ends up with a happy ending. Was there a particular story or case that really solidified for you the dire need to raise awareness among the mixed-race community and make this such a huge part of your life's work? Yes, early on I had worked briefly with a patient Hunter and his mother Lenore whom I came across through her blog. Many times in painful detail, she illustrated his journey—the highs, the lows, and the need for a match for him. He was only 2 at the time I came across his story and unfortunately he lost his life due to his disease and complications after transplant. This was a wake-up call that many patients do not survive and it really hit me hard. Amazingly, Hunter's family didn't stop their efforts in raising awareness and supporting patients. His mom now operates a foundation in his honor and helps kids and families like theirs. I could really relate to how she turned her sadness and loss into action by paying it forward since that is how Mixed Marrow was also born. Besides Hunter, I became close with Krissy Kobata and her family over the years and quite frankly, it was her search that inspired me initially, through her 10-year search I was dedicated to helping finding her match—I put myself in her shoes and thought, what if that were me? The fact that it took her so long to find a match—which wasn't even perfect—boggles my mind. It is sad to know there are cures out there, but they are just not registered. I'm mixed-race myself and have an adopted sister from Korea. I first started really paying attention to the genetic and even cultural side of donating when we attended IKAA, a conference in Seoul uniting thousands of Korean adoptees, many of them Hapa. Something that really stuck out to me was some of the mixed-race adoptees who really had no specific idea as to their racial makeup and were fearful of where to turn should they find themselves in need. Has your work taken you much into the mixed-race adopted community? And what is your personal take on the various genetic testing services, some of whom are in bed with both the area of medical need and the major pharmaceutical companies? I have shared stories of adoptees and actually spoke briefly and had a drive at a HalfKorean.com meet up a few years ago. I think adoptees, Hapa or not, face the challenge of not having genetic family to test. I have heard the challenges for patients in need trying to trace their family roots to try to see if matches can be found for them abroad. I know there is interest and talk about somehow working with genetic testing companies—I actually found out that the lab that tests for matching for marrow is the same lab that 23andme uses. There is definitely an overlap and relationship to be made there to encourage new donors via their test. Taking a step back, tell me a little about your background. What is your particular brand of "mixed-race"? Where were you born and raised? Has being mixed always stood as something that you felt has set you apart? My mom is Japanese-born in California and her dad was from Hawaii so my Japanese side is very Americanized. My dad, whom many would consider "white," is actually the immigrant, a mix of Greek, Italian, Armenian and Egyptian. I was raised around my Japanese-American side since my father's family were all in Greece and Egypt. So I would say I was raised more Japanese-American, but since my dad's languages, culture, and traditions were so strong I think it was balanced at home. I don't think I ever really fit in. I was raised in a primarily black neighborhood in Leimert/Crenshaw in L.A., but went to private school with mostly white kids so I was definitely confused a lot of the time especially because I was also an only child without siblings or Hapa cousins to relate to. As I got older, I felt it was easier to fit in with black and Latino friends more than white or Asian kids… I felt like I could be myself rather than trying to be like them or prove my authenticity to that group. Finding the mixed community online in college was the first time I ever truly felt like I fit in. I was so happy to finally find people who felt like me and whose experiences paralleled mine. I understand you've also been involved with a number of mixed-race publications and websites. How did that work come about, and are there any in particular you're currently working with or want to shout out? My work with mixed organizations and sites simply came about through my searches online leading to various communities. I started meeting people and volunteering to help with content or work with them. Most recently I became VP of Multiracial Americans of Southern California and producer of a new forthcoming podcast series called Sista Brunch hosted by longtime mixed community leader and producer of One Drop of Love, Fanshen Cox DiGiovanni and television director Anya Adams. Now talk to me a bit about the film Mixed Match! I haven't had a chance to see it, but I understand that a Facebook exchange turned into a nearly 100-minute movie. Tell me how that came about, and how you found that process? Was this your first experience with filmmaking? Dabbling in the mixed community world of online sites, blogs, and organizations, I came across the work of Jeff Chiba Stearns. I saw a trailer for One Big Hapa Family and knew I had to work with him. I had already been brewing the idea for a film for a while, but it never really took off. Knowing he had success with films about mixed identity already, I knew he would make a great partner in creating this film. I approached him via Facebook (before you had to be someone's friend to get into their inbox) and pitched my idea for the film. He was intrigued, we met in San Diego at a film festival and the rest as they say is history. Now, nearly a decade in, how would you describe Mixed Marrow's "brightness of future?" Any new or exciting developments? I think we will just keep moving forward continuing to help new patients. Sadly, new diagnoses do not slow down so there are always new patients each year to help. We are trying to expand our care package program to make it a bit more robust, sending gifts to patients that need support and love. We also expect to do more partnerships with colleges, bringing our mission to more campuses via talks and drives. To that same audience, please tell us why it is so essential to become a donor, and what is the best/easiest way to get involved regardless of location or situation! I tell people to put themselves in the shoes of a patient or put a loved one in their shoes. They are relying on the generosity of a stranger to do something relatively painless to save their life. Many times people say cancer needs a cure but many of these blood cancers and diseases do have a cure and it is a miracle that it does not solely lie in the hands of a doctor or medicine—the cure is within us. I don't know anything more beautiful than that. If fear of pain is the issue, talk to a donor or see Mixed Match and your fears will be alleviated. Marrow or stem cells are replenished and the discomfort is minimal compared to what you are accomplishing—not many people can say they saved someone's life. I have never met a donor who regretted their decision to donate, in fact, quite the contrary, they usually say that it was the best thing they ever did and that donating changed their whole life. Anyone healthy 18-44 years old in the U.S. can register at join.bethematch.org/mixedmarrow. Mixed Match is available on Google Play, Amazon Prime, iTunes, and Vimeo On Demand. For up-to-date information on screenings and drives, check out their Facebook, Twitter, Instagram, and tour calendar. Matt Blank is an arts journalist, educator, designer and lecturer. He most recently spent a decade on the editorial team for Playbill.com and as Editor-in-Chief of PlaybillArts.com, publishing over 7,000 articles and covering five Tony Award ceremonies. Follow him on Twitter @MattBlankPlease and Instagram @brdwymatt.